Choose the car you know you can pay off. You are more likely to get approved for auto loans despite your credit situation if you choose a vehicle that is within your budget. Lenders are inclined to approve applications for bad credit auto loans when they know that the applicant is not taking on more debt than he/she can handle. The best way to pick a car you can afford is to consider what you need instead of what you want. 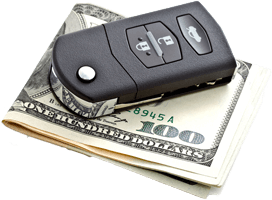 One way to determine if you can afford the car loan payment, is to find out if there is room in your budget for the car payment. Experts say that car payments should not exceed 20 percent of one's take-home pay, so compute how much money you take home each month and how much money you can spend for auto loan payments. Once you get the 20 percent figure, use our car loan calculator to get an idea of how much car you can afford. Keep in mind unlike others our car loan calculator is free and does not require to sign up for our service. Don't immediately assume you will be denied because of bad credit. Not all lenders will see you as a bad credit borrower - even if most put you under the subprime car loan category, there will be those that will consider you as an average car loan borrower. Having said that, don't take their word when it comes to your credit. Rather than assume you only qualify for bad credit car loans, find out your credit standing before you shop. You never know, having your credit score in hand give you vital information when comparing current car loan rates. There is a good reason we send all applications to our local lender partners. Lenders prefer granting bad credit auto loans to locals because they can monitor the borrowers better. Should anything go wrong, local lenders can easily find the individual. Often overlooked by those in search of auto loans, these are important in the application process. You can get them yourself, but we can get it for you once you fill out our online application form here.